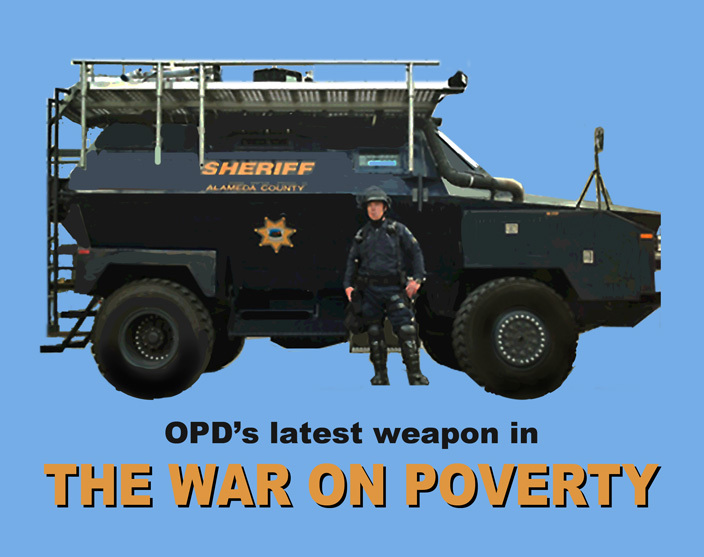 Image was the Oakland antipersonnel tank and the tag line: Oakland’s latest weapon in the war on poverty. Copblock. org announced that they were having a chalk the police contest. We wanted to win and we did. We worked extra hard on our message. I think it was Drew Philips, an occasional chalker and friend, who actually came up with the clever tag line. I especially liked this design because there was something for everybody, a figure, lots of mechanical and detail stuff. That day Torrika’s daughters did their own little project on the side. They loved Chalkupy and would ask for breaks as if it were a job and they needed permission. When I had been gone for a while and came back to Oakland to visit, the little girl took my arm and we walked around the plaza together. She asked me to do some more stuff for kids there in the plaza. It made me so sad because I’d already moved to Socal. 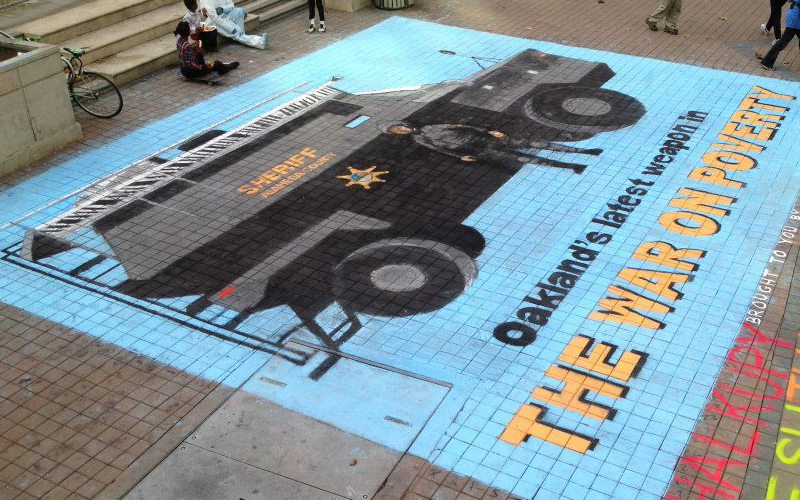 We won “Best Artwork” in the 2012 Chalk the Police contest.